Anyone that visited PlayStation 3 hacker George Hotz's website from 2009 onward is now in Sony's books. 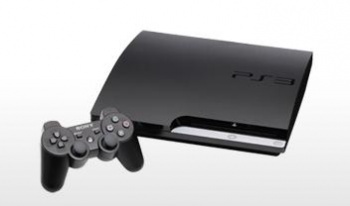 The latest development in the case of Sony vs. PlayStation 3 Hackers has seen a federal magistrate turn over the identities of anyone that visited George "GeoHot" Hotz's website in the past two years to Sony. Sony said it needed the information to prove part of its case against Hotz, and the magistrate agreed. Magistrate Joseph Spero has allowed Sony to subpoena Hotz's web provider to obtain "documents reproducing all server logs, IP address logs, account information, account access records and application or registration forms," along with "any other identifying information corresponding to persons or computers who have accessed or downloaded files" from Hotz's website. Sony will use this information to prove that Hotz distributed PS3 jailbreak materials and to demonstrate that enough visitors of the site are located within the California court's jurisdiction, which is an current issue in the case. Further, Sony was awarded with a Google subpoena to acquire the logs of Hotz's blog, one for Hotz's YouTube account that demands the information of everyone that watched and commented on his PS3 jailbreak video, and a Twitter subpoena related to Hotz's tweets and any associated "names, addresses, and telephone numbers." Sony currently plans to use this information only for the previously stated purpose, and not to sue everyone on the planet. Electronic Frontier Foundation staff attorney calls the subpoenas "inappropriate" and "overly broad." When you're demanding the location of someone that posted "LOL" to a YouTube video, yeah, I'd call that pretty inappropriate too.